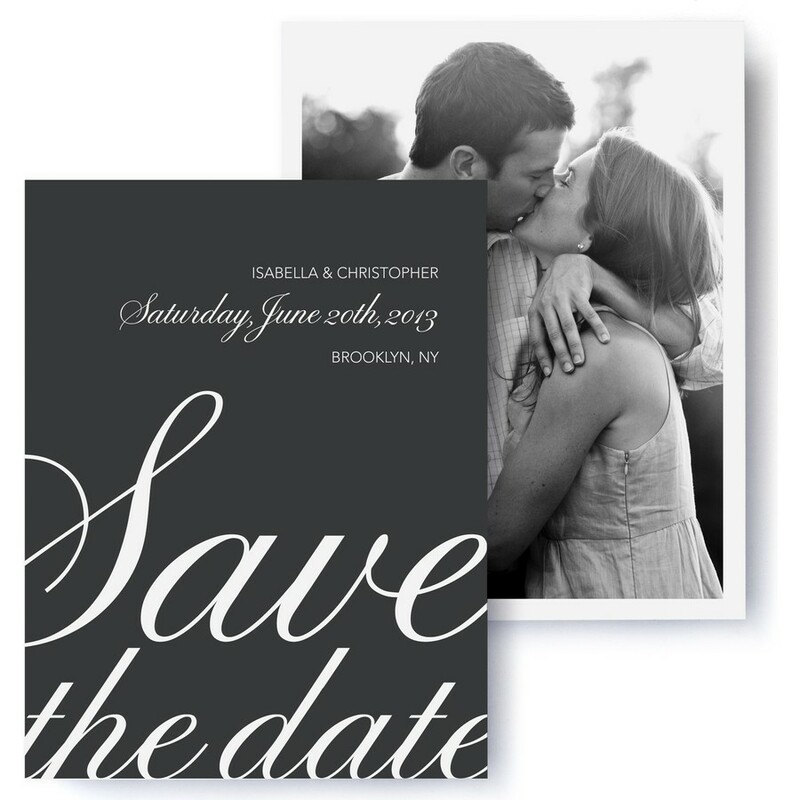 It's romance, writ large on your personal save the date card. Dramatic, oversized script emphasizes the important sentiments of your upcoming nuptials. Just like the art of calligraphy, your day will be classic and timeless.